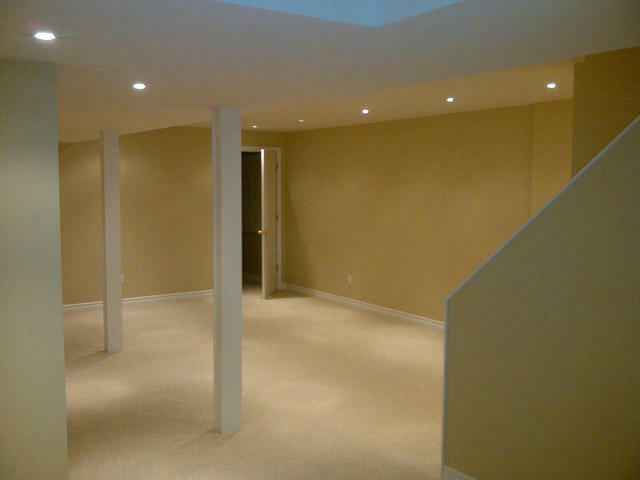 We are very happy with the finished basement project completed by Doug and his team. They were punctual every day, communicated with us throughout the entire project and customer service is clearly a priority as they did whatever possible to ensure we were happy. We have, and will continue to recommend Noble Enterprises to family and friends. We have done a number of renovations (some small & some big) over the past number of years with Noble Enterprises. I believe the biggest complaint of contractors, in general, is their reliability or should I say lack of reliability. This is where Doug and his crew exceed expectations. They're on time, they complete the work on budget and the completed product is fantastic! They even have some flair for design! So do yourself a favour........if you're planning a renovation, don't waste your time with others.........just give Doug a call. You'll be glad you did!! We recently had work completed by Noble (structural wall removed on our main floor) and are absolutely thrilled with the work. First off, Doug went above and beyond to schedule the job during our preferred timelines. Secondly, the team was very professional, paid attention to detail and completed the work to perfection. The final product far exceeded our expectations. 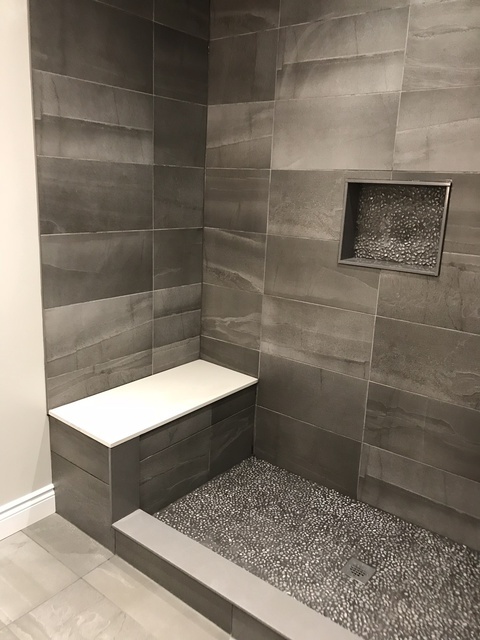 The work was completed on time and on budget, we would not hesitate to recommend Nobel to anyone looking to take on a renovation and we will certainly be using them again for future projects in our home. Thanks again Doug and team! My wife and I are rather seasoned home owners when it comes to renovations. We have never, in our lives, seen anything like Doug and his Team. Focused, multi-talented, fast, hard working, intense attention to detail and pursuit of high quality.... And a pleasure to work with!! A complete gut, re-wire, re-plumb, re-configuration of AC, re-tile floor and walls, paint, fixture install.... ALL in SEVEN (7) working days. I have never seen anything like it.... and it wasn't rushed. These guys are something to behold. Would eagerly recommend Noble Enterprises to anyone, anytime. Thanks a lot Doug, Gord and Al. It was fun. 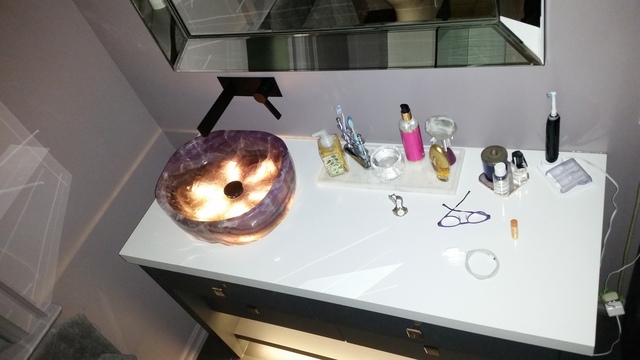 Doug and his team renovated my bathroom and what they did completely amazed me and my family. I’ve always wanted a walk-in spa like shower but they did was take an “ugly duckly” bathroom and turned it into a swan. Doug and his team were professonial from start to finish. On time and on budget. Plus super clean up job. Like you wouldn’t have known they were even there except for my awesome bathroom. These guys are the “real deal”. I would hire them again for my next renovation. Geat job! Doug and his team were outstanding. Renovated our 1980's kitchen. Total redo. Floors..cabinets ..lighting and front entrance way. Always on time. Always profession. Always kept the work area as clean as possible. Doug was recommended through a colleague. He's booked months in advance but it was worth the wait. Call him if you want the job done right... and on budget. The best! 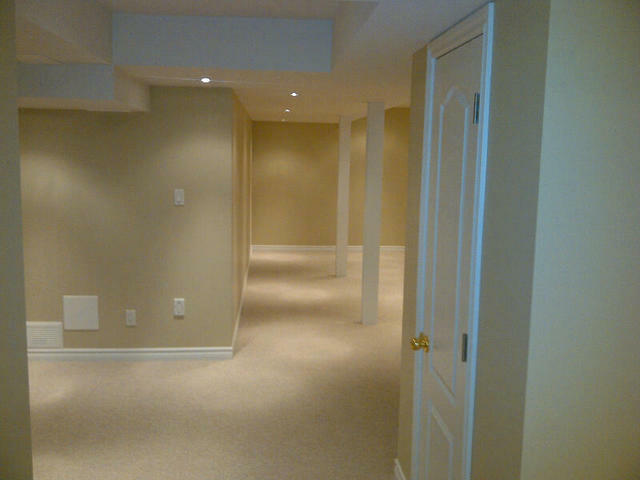 I would like to thank Doug and his team from Noble Enterprises for the truly outstanding basement renovation in my home. It is very rare today to have your expectations exceeded for products or services. I can say unequivocally that the work completed by Noble Enterpises was a 100% to my complete satisfaction. From the very beginning of the project Doug made sure all our questions and concerns were addressed. The workmanship was spot on and it was a true added benefit that every evening before the crew left they cleaned the workspace and left Keith le to no mess anywhere else in the home. I would recommend Noble Enterprises to my family and closest friends because I am confident they will be happy with the work done. Thank-you again to Doug and the Team. You have a winning formula; one that is not readily available in today's market. 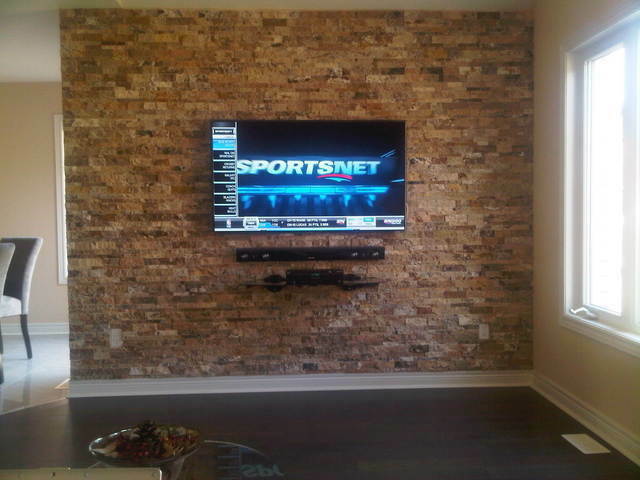 We love our basement and cannot wait to start the next project with you! Thank you Noble Enterprises for the best experience in renovation we have ever had. Everything was done professionally and according to plan. Although it was a total gut to 2 bathrooms, the work was done neatly quickly. They stayed on time and on budget. The workmanship was impeccable. We are so happy!!! Thank you so much Noble Enterprises we will be in touch soon to plan another project. We were recommended by friends, and the minute we met with Doug, we new he is our guy. Whatever he promised was done. It was done efficiently, on time as promised, and to the best satisfaction. Doug estimated two weeks of work ( which we were very sceptical, as results of previous experiences with renovations), and he finished after 10 or 11 days. Amazing! Quality of work- excellent! Team work is unbelievable! All team workers are very professional, polite, and pleasant. Now we are scheduled with this company in November for our master bedroom bathroom renovation. We can't wait! Our thanks to Doug and his Team! Doug and his team performed a renovation on the entire main floor of our home a few years ago and we recently hired them to do a complete gut of the basement followed by total renovation (new drywall, floors, new laundry room & washer/dryer installation, new enlarged bathroom with glass shower stall, new handmade stair case rails, fireplace tiling just to name a few things). Once again we were thrilled with the work that was performed. Firstly, Doug is very professional and always provides a thorough quote when he does the initial walk through of the job and provides an approximate time frame for job completion. Doug and his team are some of the hardest working individuals I have met. They are trust-worthy, punctual and extremely efficient!! Doug always kept us up to date and the quality of work was high. His crew left the work area tidy every day, and there was great communication between us and Doug and his crew. 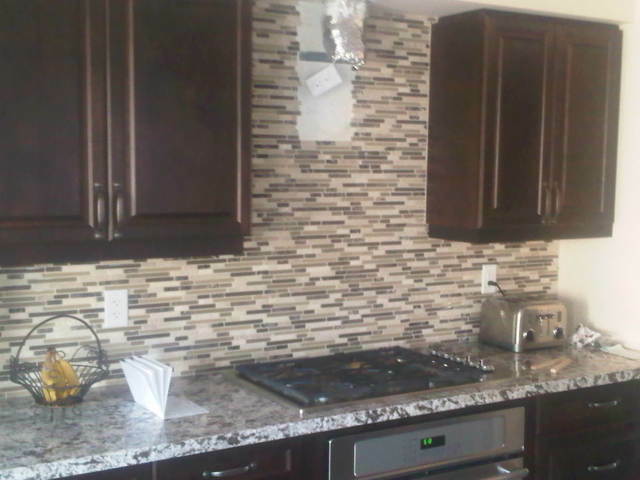 Noble Enterprises are General Contractors specializing in home renovations. We are a family owned business for over 30 years. 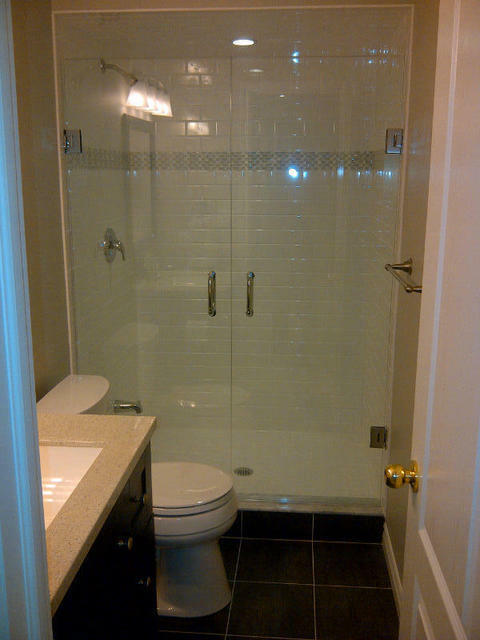 We specialize in basements, kitchens, bathrooms, and decks.